Today didnt start off to well. 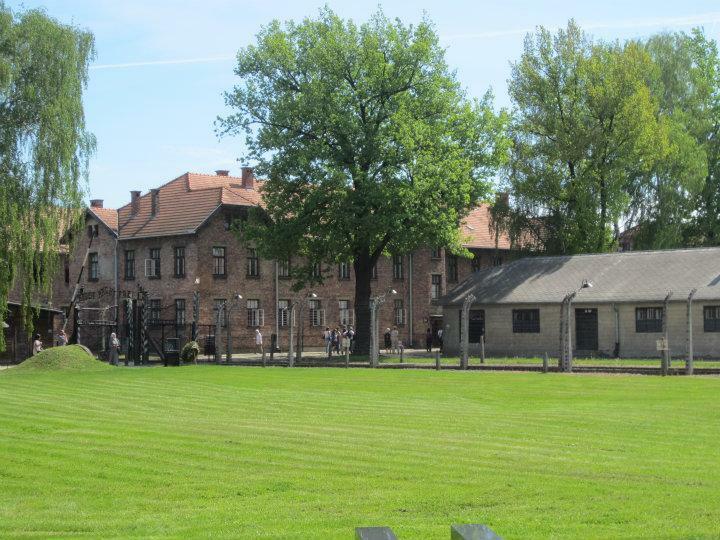 We managed to miss our pick up from outside our hotel for the Aushwitz Birkenhau Tour. After a bit of confusion with a rude bus driver and the hotel lobby we realised that the only way to get on tour was to catch a cab to another hotel for pick-up. The tour operators forgot to inform us about a change in pick-up time. However all turned out ok.
After a 1 hour 15 bus ride we arrived at Aushwitz. Very sad but a must to see while here. We thought conditions were bad there but once we got to Birkenhau it just got worse. There is too much to comprehend and put into words. Will let the pictures do the talking ( once we manage to upload them, sorry ). Tour took about 7 hours so really took up most of the day. Back at Krakow and after walking around in 30 degree heat was time to change and start planning tea.